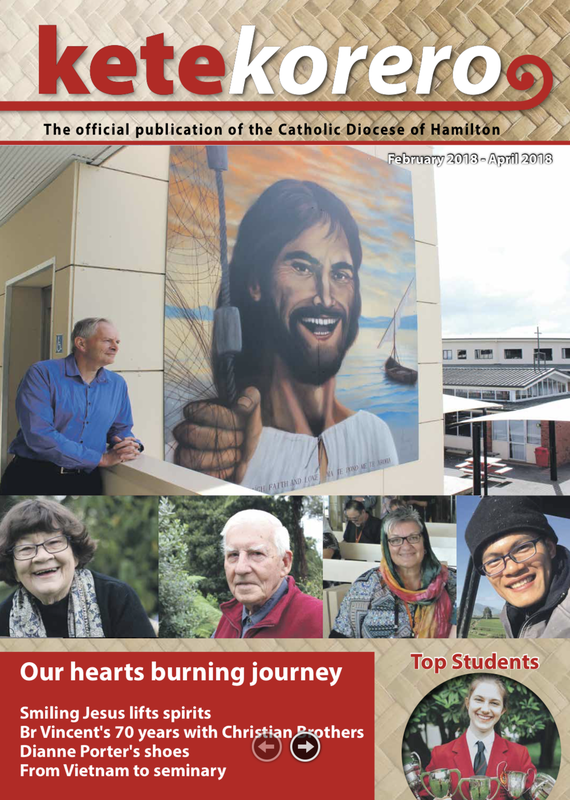 The latest edition of the Hamilton Catholic Diocese magazine Kete Korero is now available from the back of the church or at school and parish offices. 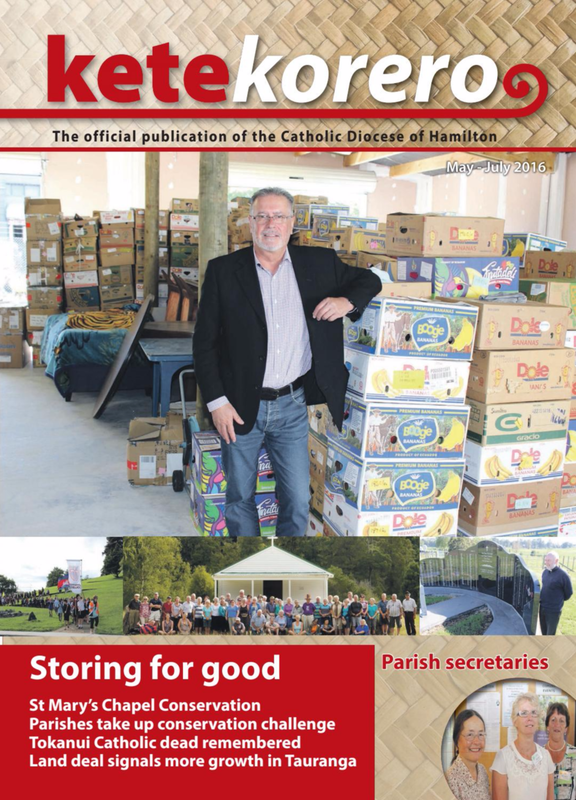 Whanau and friends have farewelled Deacon Mike Jones who passed away earlier this week in Rotorua. 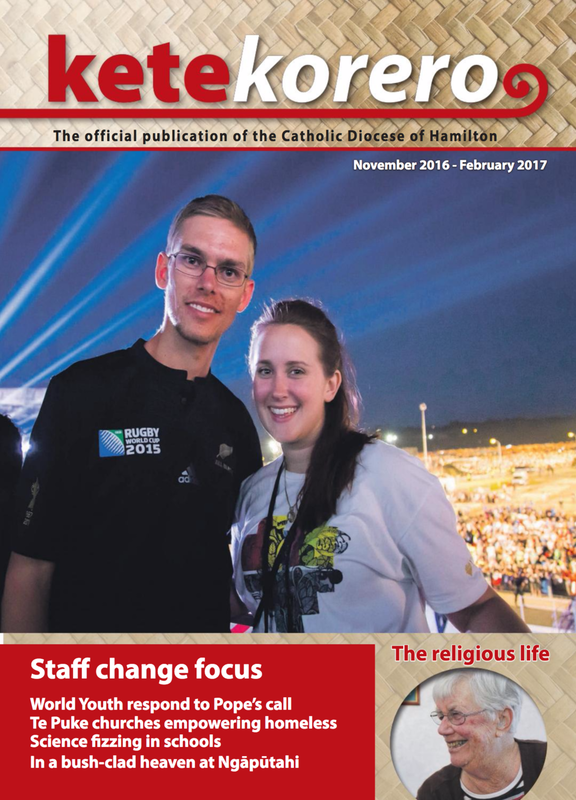 Mike became a deacon in April last year and was a former Principal at St Mary’s Catholic School, Rotorua and was more recently the Chaplain to the three Catholic schools in the city. A funeral Mass was held at St Mary’s, Rotorua on Thursday February 21 and the burial followed at Waiohau Marae between Te Teko and Murupara, the home marae of his wife Irene. Mike and Irene have five children, 18 grandchildren and four great-grandchildren. Mike is remembered as being a kind and gentle man who inspired many people he met. We pray for his eternal rest. 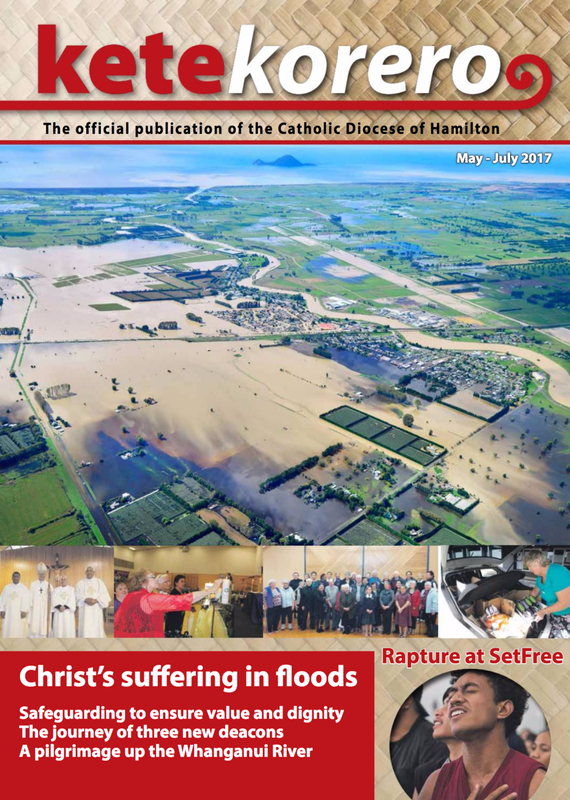 The renewal of Mike and Irene’s wedding vows on their fiftieth anniversary features in this edition of Kete Korero. 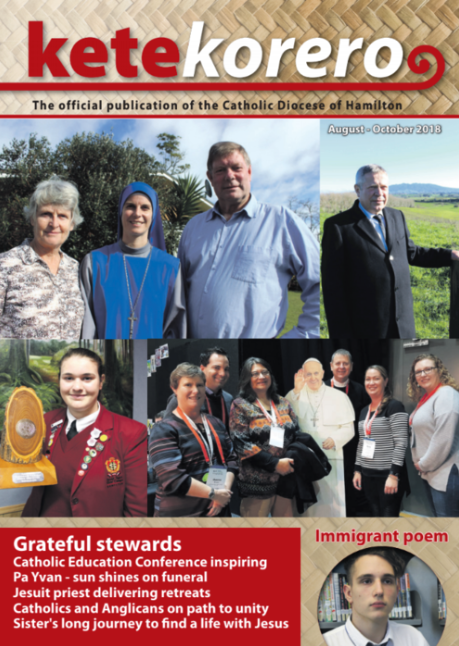 and Pilgrimage celebrates Bishop Pompallier, as well as a round-up of 2019 college leaders and 2018 prizewinning student. 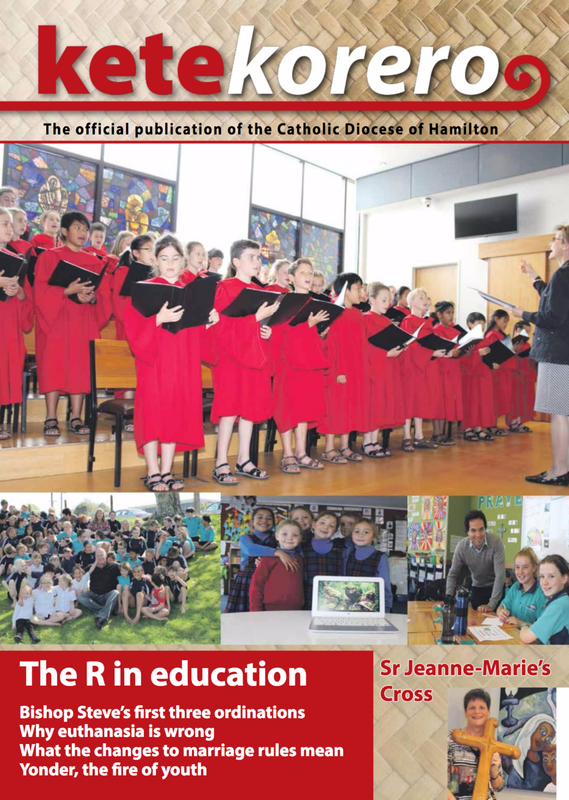 By clicking on the Kete cover, you will be able to read it online. Don't forget to have it full screen and enjoy this latest edition!